Luxurious king size canopy beds you won't believe exist! 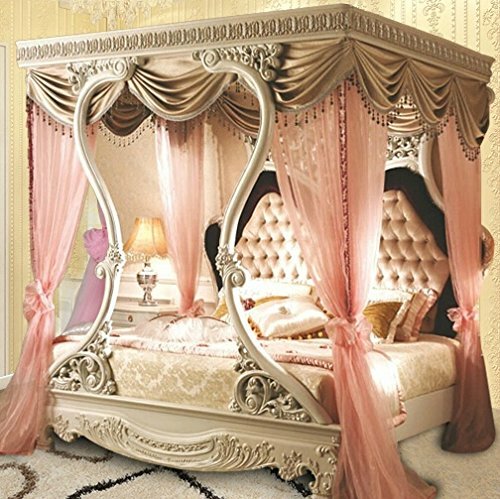 The Most Amazing and Luxurious King Size Canopy Beds! If you want to transform your bedroom into nothing short of a king’s palace, then I think you are going to love these luxurious king size canopy beds! If you need lots of room to sleep in style, these are definitely for you! Some are made of wood and others are made of metal. It all depends on what style you are looking for. They are great for a sense of added privacy in the bedroom! This is probably one of the fanciest beds I have ever seen in my life! It is made of solid wood and it has stunning hand-carved details. 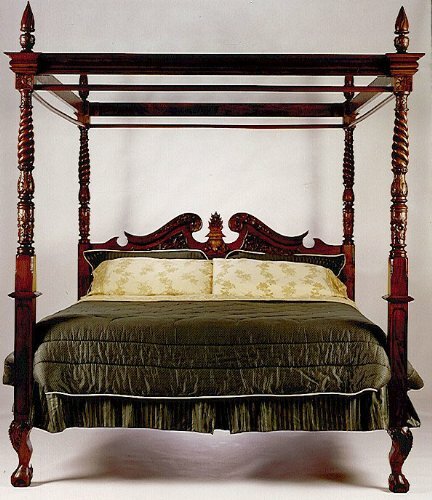 If you absolutely love antique furniture, I think you are really going to be pleased with this gorgeous bed! This one really looks like it came straight out of a movie set! 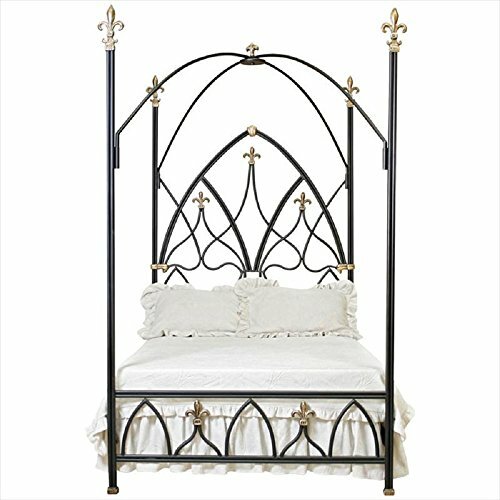 It’s a Gothic style king-sized all-metal canopy bed for sale! It was all hand-painted with a gorgeous powder coat finish! This is a very unique and cool looking steel construction king canopy bed with a cool padded headboard! It also has a nice ‘aged’ metal finish! The price of this bed is actually pretty good! The oatmeal colored fabric headboard padding is also very beautiful. Overall, this is a very interesting canopy bed for sale! 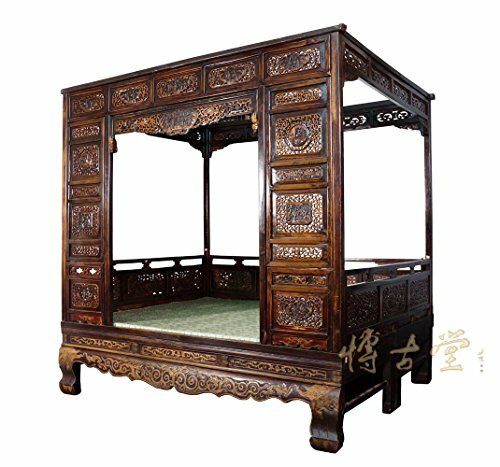 Antique Chinese Canopy Wedding Bed! I can’t even begin to describe it! It is a stunning king size wood Chinese canopy bed in a gorgeous antique finish! It looks like a house! 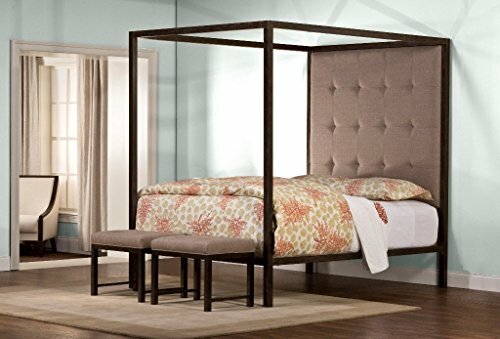 Amazing King Size Canopy Beds for Sale! 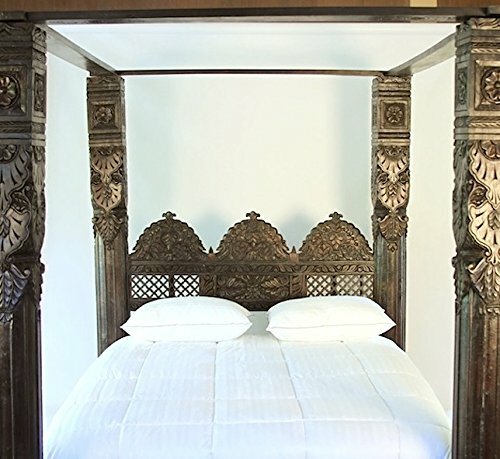 Now it’s time for an Indian antique-style canopy pillar den bed! It is even more luxurious looking than the Chinese one! Once again I am speechless! 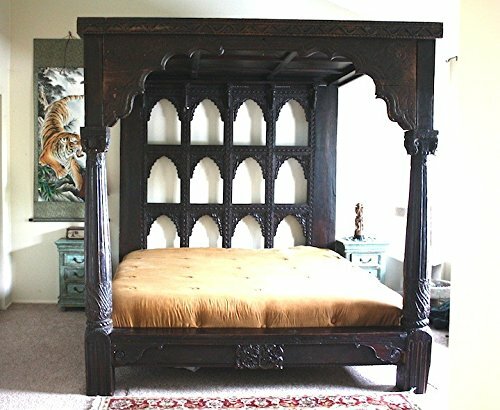 I had to show you this king size Indian canopy bed too! It has the most amazing hand-carved designs and patterns ever! The antique finish is also gorgeous! You will find yourself getting lost in the carvings every time you stand near this bed. 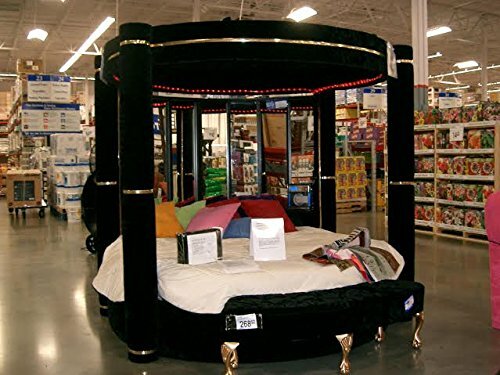 Have you ever seen a round black velvet canopy bed before? Me neither! The tubes are all made of steel, and they are thick-padded with a gorgeous and soft black velvet fabric, and it looks so fancy! It is not only very stylish looking, but also very sturdy! If you or your daughter have always dreamed of having a beautiful poster bed, now is the time! Very Affordable King Size WHITE Canopy Bed for Sale! 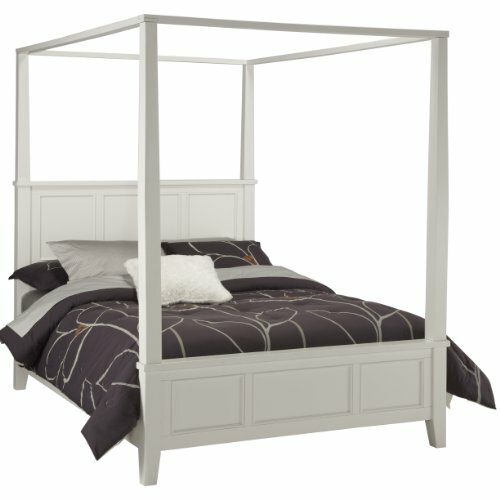 And last, but not least in my selections of beautiful king size canopy beds for sale, I present to you one of the cheapest ones I found! It’s a cute all-white king canopy bed! It’s very modern and made of hardwood solids. My Top Favorite Fancy Beds for a Fancy Bedroom! The Most Luxurious Round Leather Beds! The Most Stylish Modern Beds for Sale!